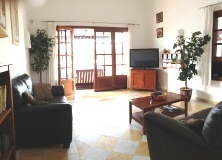 Villas in Lanzarote is the website for two luxury holiday villas in the beautiful resort of Playa Blanca. We own both Casa Kato & Casa Rosulida and pride ourselves on providing fantastic holiday villa accommodation at great prices. These villas are truly spectacular offering heated swimming pools, hot tubs, and wi-fi amongst other things. For a truly luxurious villa holiday experience, on a fantastic all year round sunny island, look no further. We do hope you decide to book. 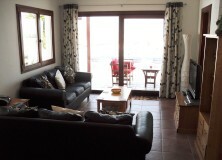 Why choose a Lanzarote villa for your holiday? Lanzarote is a Spanish island. Part of the Canary Islands it is found in the Atlantic Ocean, approximately 125 km (78 mi) off the coast of Africa and 1,000 km (621 mi) from the Iberian Peninsula. Covering 845.9 square kilometers (327 sq mi), it is the fourth largest of the Canary Islands. The island is a favourite for sun worshippers due to it's lovely all year round climate. Even in the coldest months of January and February the temperature rarely drops below 14 degrees celsius over night and is up to 22 in the day. In the hottest months July through to September, the evening temperatures are 20 degrees and the daytime an average of 29. 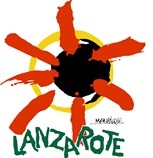 Lanzarote has an average of more than 300 days of sunshine each year, and 6-11 hours of sunshine per day and has a low annual rainfall of 125 – 150 mm per year. Basically this is just a great place for a holiday at any time of the year!